Today is my mother's 87th birthday. I am not an accomplished cook. I don't even like cooking. 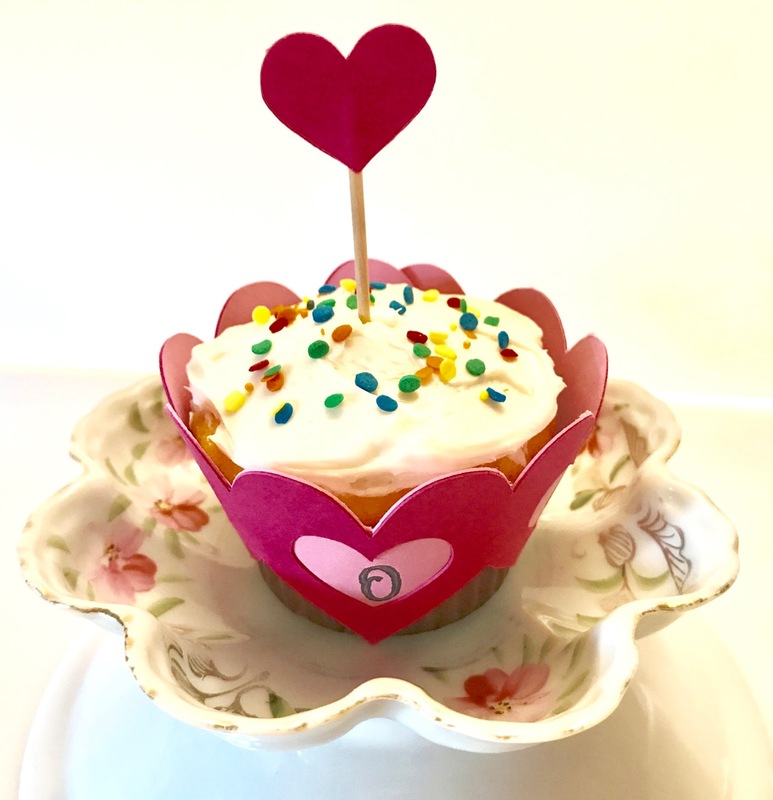 However, when I noticed the popularity of cupcake wrappers and toppers I was motivated to make a cupcake, actually 18 of them. Making them look beautiful was a lot of fun. I used the template from Anna's Seasonal Soirees cricut cartridge to make the wrapper. In the middle of the hearts I have M-O-M written. The "O" is visible in the picture. The topper was made from the inner hearts cut out of the wrapper. Served on fine china made this an extra special treat for the birthday lady. Happy Birthday Mom! Let me know in the comments below if you ever make something ordinary special by dressing it up. This wrapper was made using the Cricut Explore cutting machine with the Design Space software that comes with the machine. This post was not intended to be a detailed tutorial. There are many tutorials of various cupcake wrappers on youtube. The purpose of this post is to show how a little added touch of detail (ie. wrapper) makes a difference. I hope that helps.